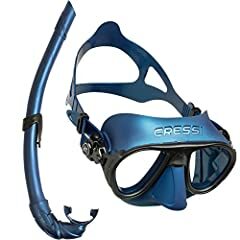 The Cressi Calibro Mask is a clever low volume mask with a unique anti-fog skirt that isolates your nose creating a seal around the nose that helps reduce the chance of fogging lenses. 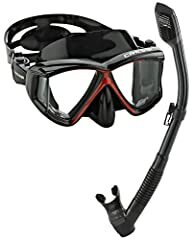 The low internal volume makes the Calibro perfect for both freedivers and scuba divers as you don’t have to equalize as much when you descend or clear as much if flooded. After seeing this review I bought the calibro mask and it has been an absolute delight to use. My previous mask kicked the bucket so i was in the market for a new one. After the pretreatment, there is absolutely zero fogging and the mask itself fits me perfectly with a great seal. The new fog stop system is very effective, can’t believe it hadn’t been invented before! Couldn’t be happier. 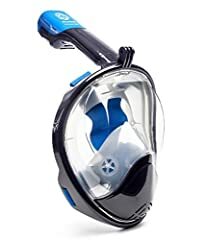 Thanks Mark/simply scuba for bringing this mask to my attention! But. Does it come in pink?? I don’t quite understand how you can equalise the airspace under the lenses or clear the mask with that skirt blocking air from your nose? Are there any holes between the nose pocket and lenses? What am I missing? 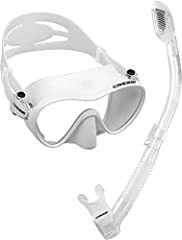 Does this create any problems with clearing a flood then if you are isolating your nose from the lenses?